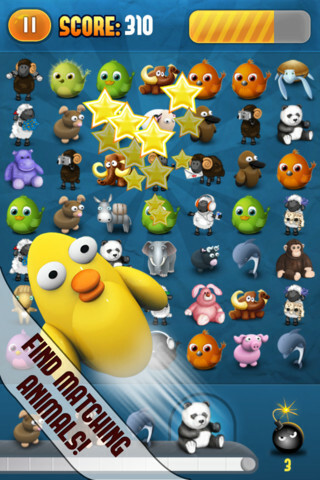 Find Animals is very simple cute game for the iPhone. It's a game that pretty much anybody can play and enjoy, from a 2 year old to grandma. The basic concept of Find Animals is to find a specific animal out of a bunch of different animals, as fast as you can. The game tests your ability to find matching animals quickly. 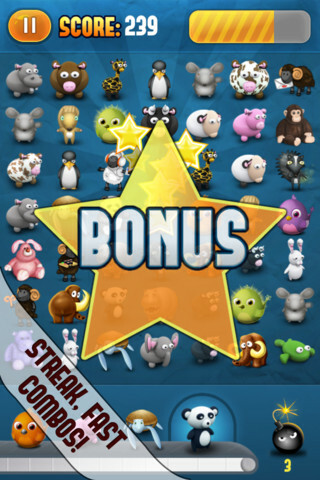 There is a conveyor belt at the bottom of the screen with a series of animals. You need to find the animal at the end of the conveyor belt from a grid of a bunch of animals. Once you find and tap it you progress to the next animal on the belt. Your goal is to find them all before your time runs out. As the levels progress the grid of animals that you have to choose from gets bigger and in some levels the animals start jumping around occasionally, making it harder to find the one you are looking for. 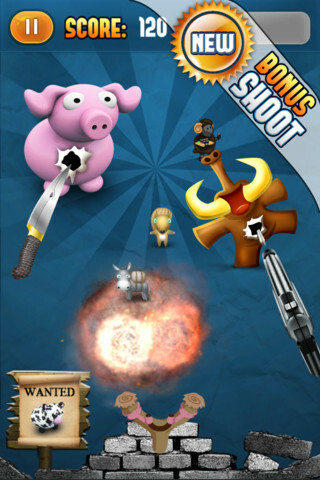 The graphics are really cute, especially all the different animal characters, and the sound is not to bad. Find Animals is free today and is regularly $1.99.